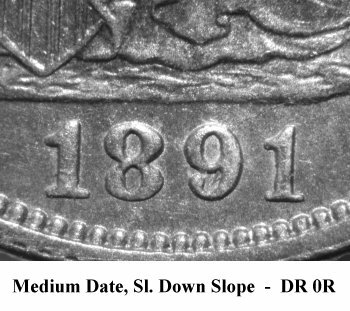 Comments: On Obverse 6, the 89 date digits are strongly repunched with the earlier punch visible in the lower loops. 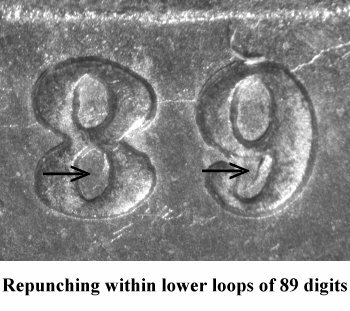 Ahwash indicates that all digits in the date are repunched. However, I cannot detect the repunching on either of the 1 digits. A die crack runs from the left end of the base through the 189 digits, then up to the right base above the final 1 digit. 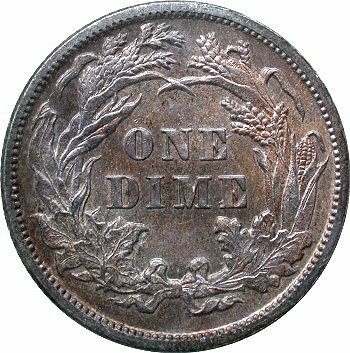 Another die crack from toe up through AMERICA, then cap to Liberty's head.. A faint die crack joins (UNITED) at the top of the letters. 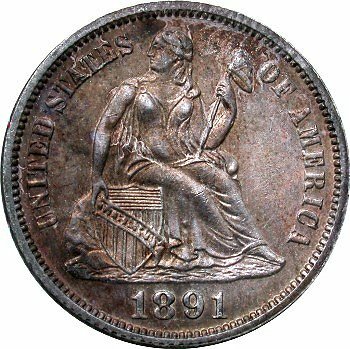 See the enhanced mapping of Obverse 6 at Variety 106a for a pictorial of the die cracks.